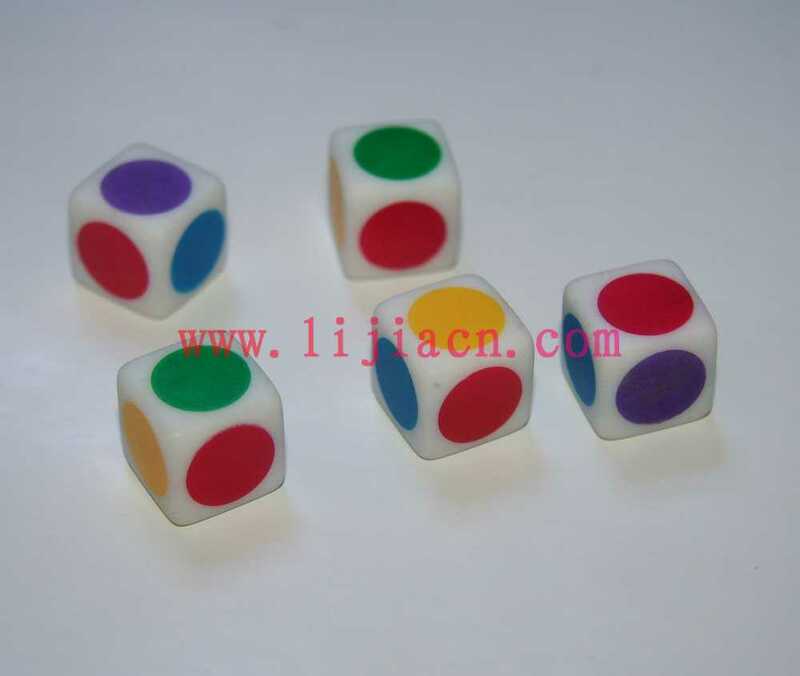 Acrylic, Resin, Melamine, Wood or metal dice is available. 5, 7, 9, 10, 12, 14, 16, 18, 20, 22mm...... dice is available. 4, 6, 8, 10, 12, 20 sides dice is available. Printing, engraved / embossing dice is available. Custom dice with custom symbols, designs, size welcome. Universal and custom dice cups/ shakers are welcome. Eco-friendly, no-toxic material strictly complying with CPSIA, SRS044, ASTM F 963, En71, CE, GB-6675, etc.